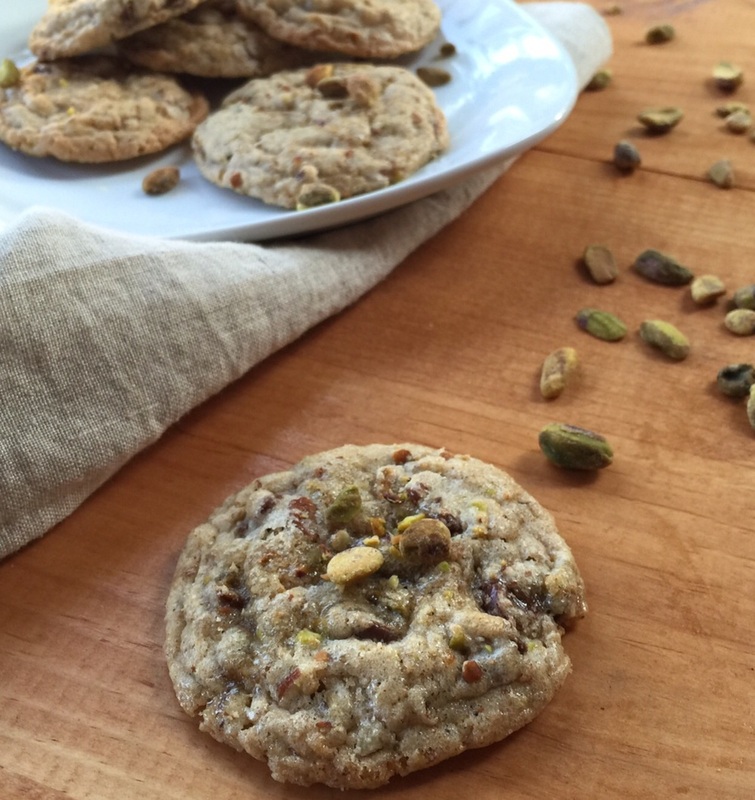 whole-wheat honey & pistachio cookies — urban. apron. Making a winning combination for you today! These are for when you want to splurge on some good-quality ingredients. And step away from your go-to chocolate chip. In a small bowl, whisk flour, baking soda, salt, cinnamon, and allspice. Set aside. 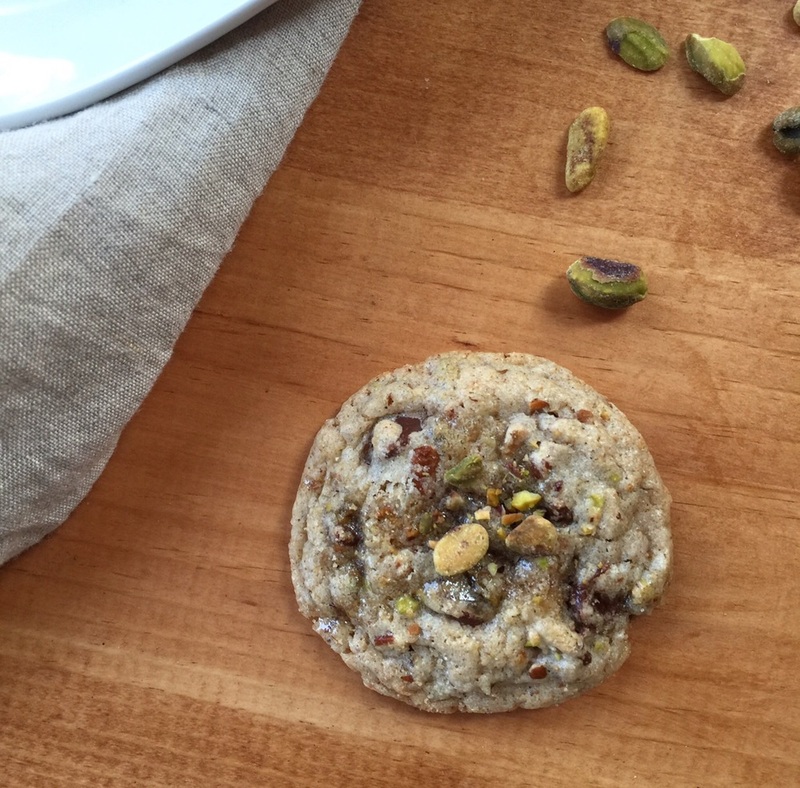 In a food processor, process the pistachios and pecans until finely chopped and crumbly. Melt butter and let cool, slightly. In a mixer, blend the butter and sugars. Add the egg, lemon juice and zest. Slowly add the flour mixture and pistachio mixture to the butter mixture until combined. Fold in the milk chocolate. Scoop tablespoon-sized dough balls on to a baking sheet. Press each ball down slightly and place a few chopped pistachios on top, if desired. Bake at 350 degrees for about 10 minutes. Immediately after you take the cookies out of the oven, drizzle with honey. Let cool for 10 minutes or so on the cookie sheet before removing to wire racks to cool completely. I recommend serving a plate of these to your next dinner guests.